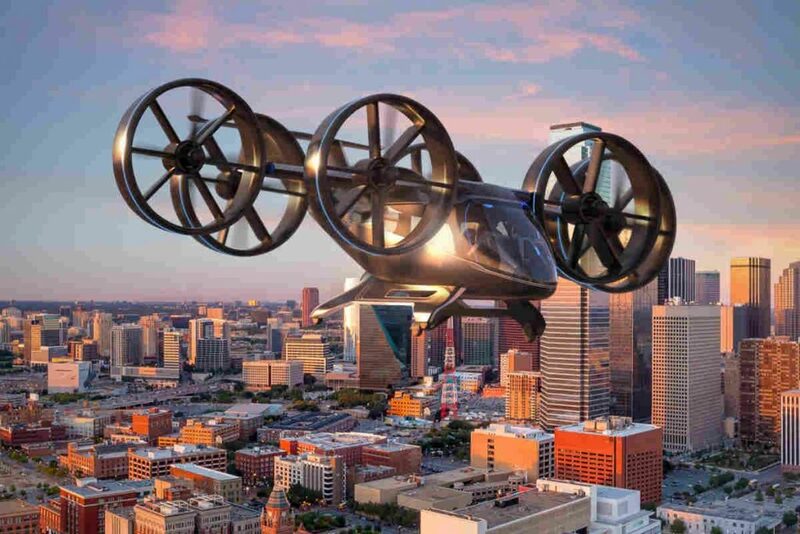 Bell Helicopter during CES 2019 revealed the configuration and full-scale design of an air taxi called Bell Nexus. The VTOL vehicle is powered by a hybrid-electric propulsion system and features Bell’s powered lift concept, incorporating six tilting ducted fans. The team behind the technology of Bell Nexus consists of Bell, Safran, EPS, Thales, Moog and Garmin – a group actively collaborating on Bell’s VTOL aircraft. Bell will lead the design, development and production of the VTOL systems. Safran will provide the hybrid propulsion and drive systems, EPS will provide the energy storage systems, Thales will provide the Flight Control Computer (FCC) hardware and software, Moog will develop the flight control actuation systems, and Garmin will integrate the avionics and the vehicle management computer (VMC). Alongside the debut of the Nexus air taxi, Bell is featuring Autonomous Pod Transport (APT), a new venture for the company. The APT family varies in payload capability and can serve a range of mission sets from medical, law enforcement, offshore missions and on-demand delivery services.